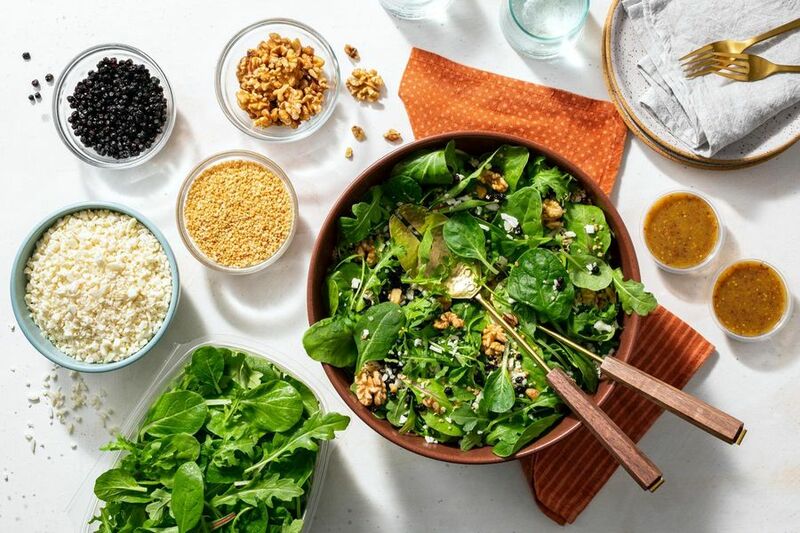 We’ve answered the call for a salad that fuels you up and keeps your taste buds entertained. Here, puffed quinoa, buttery walnuts, and kale join forces to provide 12 grams of protein per serving. Dried blueberries and riced cauliflower bring color and crunch. 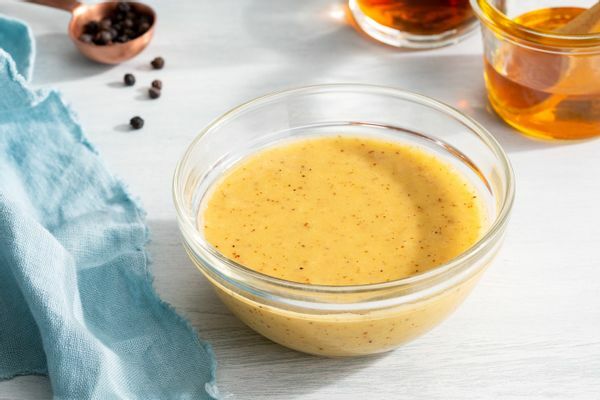 The ideal supporting player to our creative toppings, our sherry vinaigrette has a subtle sweet and nutty taste from sherry vinegar, whole grain mustard, and a touch of honey. 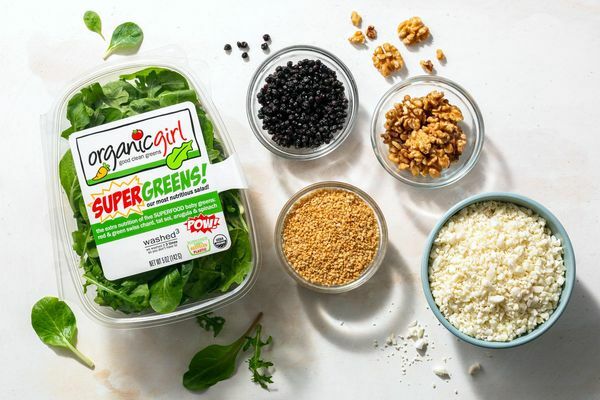 This superpowered mix of baby greens can include baby chard, bok choy, and arugula, depending on the season. They all stand up to our crunchy toppings and deliver an alphabet of nutrients. In a bowl, toss together as much of the greens, toppings, and vinaigrette as you like. Season to taste with salt and pepper and enjoy.